LG officially announced today the V35 ThinQ. From the point of view of design, it is largely identical to its predecessors V30S and V30. As for internal specifications, it borrows almost everything from the $ 750 G7 ThinQ. The main differences between the V35 and the G7 are the screen, the battery capacity and the amount of RAM. Another significant difference is the price: AT & T sells the V35 ThinQ for a staggering $ 900 (or $ 30 monthly over 30 months). Pre-orders will start on Friday, and the V35 will be in stores on June 8, around the same time other carriers will sell the G7. The V35 gives you a more traditional, non-notched OLED screen. The display is wider than the G7, but the disadvantage is that the phone in one hand is not quite as comfortable. The battery is slightly larger at 3,300mAh than at 3,000 in the G7, and the V35 contains 6GB of RAM compared to the 4GB of the G7. Aside from the notch, the other salient feature of the G7 is its incredibly loud boom box speaker; the V35 does not bring that over. It also does not have a dedicated power button (the fingerprint sensor handles this) or Google Assistant button. 50 price increase comes from or what justifies it. You pay a lot for different screen techniques here. The G7 seems to me the better way to be honest. At least it feels a little new. 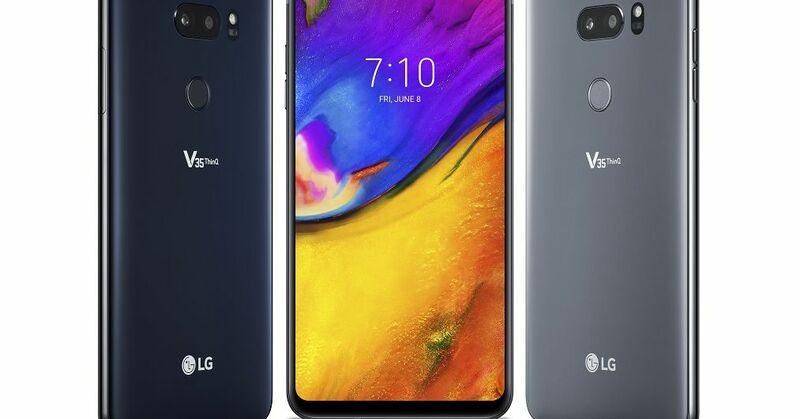 If the V30S repeats, as Vlad wrote in February, then LG does nothing to revive things for the V series. Everything that once distinguished it has invaded the G-Series, and the V35 will not stand long. Also note that the very similar V30S is available for less than $ 700.